Winter is my favorite season. Cozy corners, warm blankets, hot sips and special cuisines. Winters are incomplete without barbecue, kebabs and Sarso Ka Saag. In winters, fresh green leafy vegetables are main attraction in vegetable market. You simply love the sight of them and the taste calls you. 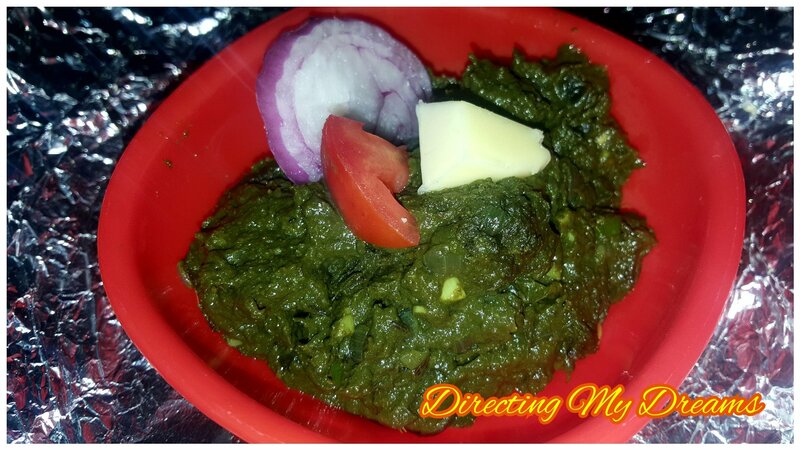 Sarso Ka Saag is a punjabi cuisine and its a perfect blend of Sarso(mustard) leaves, palak(spinach) and bathua. This yummy cuisine knocked my kitchen two days back and it was a big hit like every winter. 1. Chop and Wash the green vegetables properly. 2. Boil the green vegetables, onion, tomato, green chillies. 3. Once boiled perfectly, grind it with hand blender or in grinder until pureed properly. 4. Transfer the pureed green vegetables to pan again, let it boil on low flame. 5. Add corn flour(makki ka aata) with water to make paste(flowly consistancy). 7. Add salt to taste and let it cook on low flame for 25-30minutes. 7. Add ghee in another pan, add chopped onion, garlic, ginger and green chilles and let it cook untill done. 9. Let it cook for another 5-10 mintues. 10. Serve hot with makki ki roti. 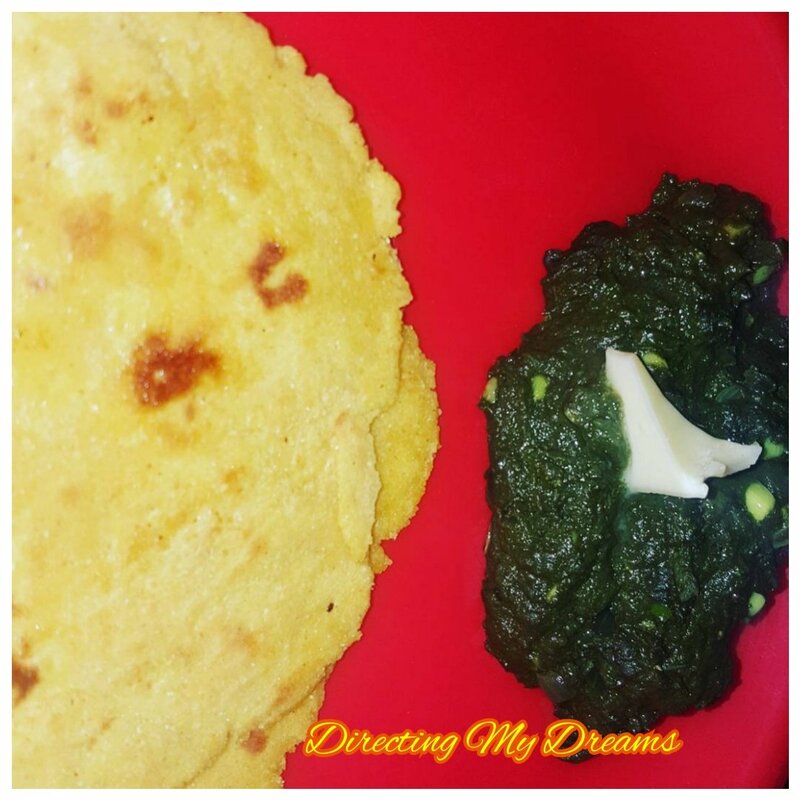 Yummy Sarso Ka Saag and Makki Ki Roti is ready. It looks yummy. How I would love to have sarso ka saag. The last I had this was in Delhi and I thoroughly loved it. Thanks for sharing!